Since 2003, the Visionary Woman Awards has recognized outstanding women leaders who have made a powerful impact on the world of art and design. 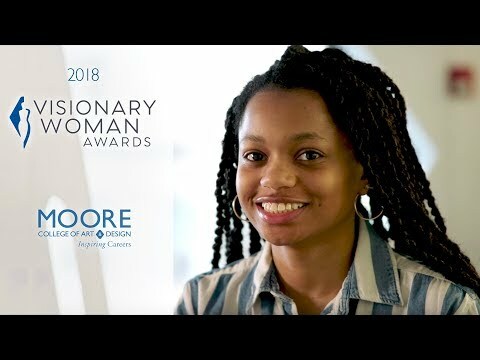 The first and only women’s visual arts college for undergraduates in the country, Moore College of Art & Design is honored to highlight the extraordinary achievements of women in the arts who provide powerful role models for our talented students. The Elizabeth Greenfield Zeidman Lecture features the Visionary Woman Awards honorees in a moderated discussion followed by a question and answer session. The Zeidman Lecture is free, open to the public and held in the afternoon. The Zeidman Lecture is made possible by a generous endowment by the Albert M. Greenfield Foundation. The Visionary Woman Awards Gala hosts over 250 guests to honor the Visionary Woman Awardees during an evening ceremony and gala dinner. The event is ticketed and generously supported through sponsorships by alumni, corporations and friends. Dorrit Bern, entrepreneur and former CEO of Charming Shoppes, Inc.